I'll be the first to say that I'm not a morning person. I'm kind of one of those people who likes to get ready in silence, without people talking to me until I'm awake and ready to get going for the day. Unfortunately I did not pass this trait on to my children. Cohen wakes up the moment the sun hits his curtains and is ready to go for the day, asking twenty questions along the way. For awhile this was a hard thing to get used to, especially when I was up all night with a new baby. However now that we have a bit of routine down I actually enjoy my mornings and look forward to see his smiling bedhead full of life. But lately the mornings have been feeling rushed. I'm going to blame it on the fact that it stays dark here until almost 9 o'clock. It has been hard to get moving and we all are struggling to wake up - even Mr. Question Mark. So I've decided to create a new morning routine to help us all get the day off on the right foot - starting with breakfast. 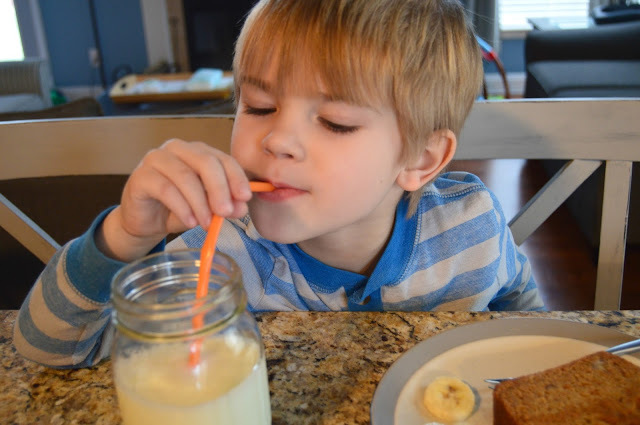 Now, my kids have never been big breakfast people but we all know that it is the most important meal of the day. One of my go-to meals for the family has been my mom's homemade banana bread recipe. It offers a good combination of fruit and grains in one meal and is actually super easy to make. Plus I can make it on Sunday and one loaf will last us the entire week - unless my husband gets a hold of it. As I began prepping to make our Vanilla Banana Bread, I was making a mental plan of how our new morning routine was going to look. Since Cohen goes to school three days a week, I decided I was going to get up early to get my workout in before he got up. Then I would have his breakfast all set out and ready to go so we could take our time and talk to one another before the girls woke up. I love having my Cohen time, especially since we don't get enough one-on-one times these days! 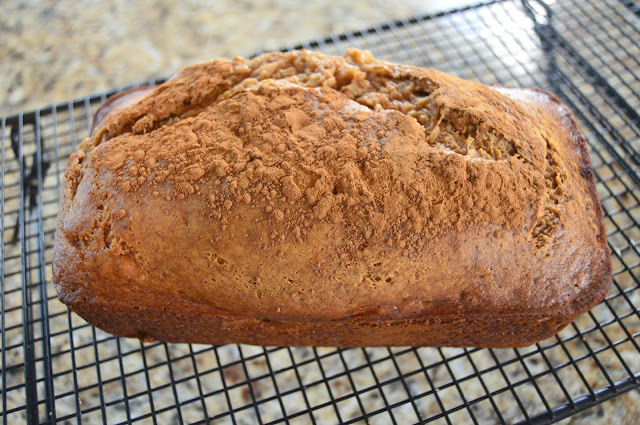 But I'm telling you this bread is so simple yet amazing. And the perfect nutritious staple to start off your day! 1. Begin by preheating the oven to 325 degrees. 2. 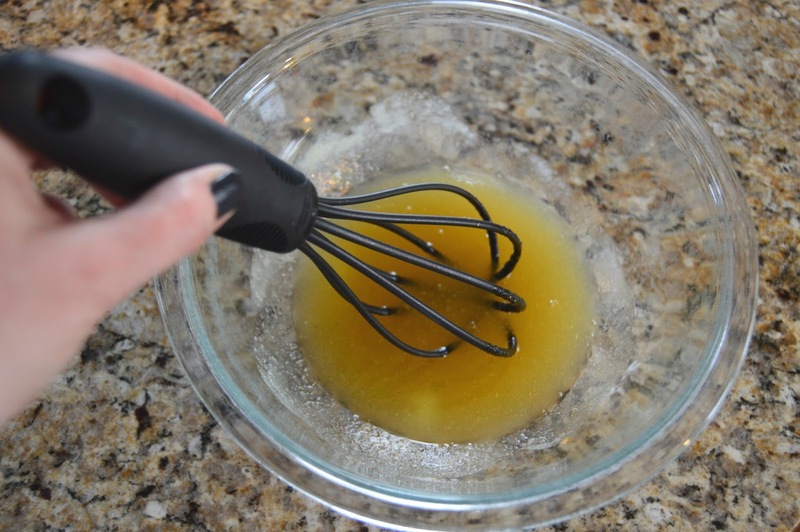 Whisk together the honey and applesauce in a large bowl. 3. 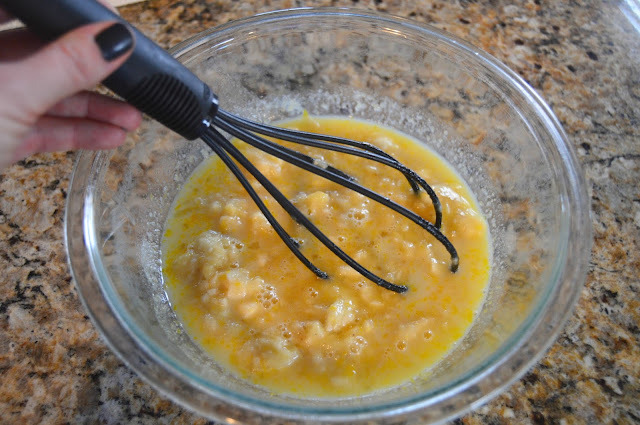 Next add the eggs, mashed bananas and milk. Whisk these all together again. 4. Then add the baking soda, cinnamon and salt. 5. 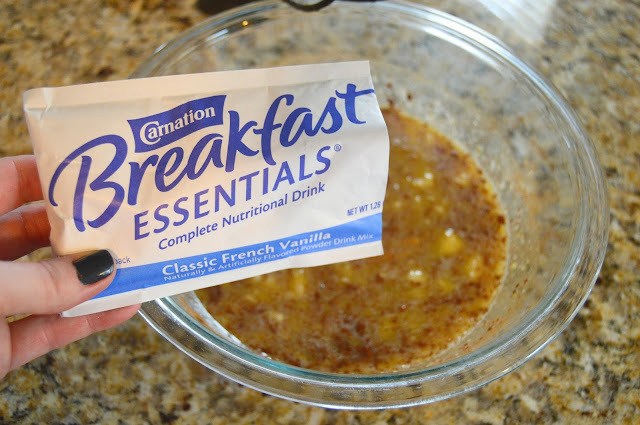 Add your packet of Vanilla Carnation Breakfast Essentials® Powder. 6. Lastly, fold in the flour and mix together. 7. Pour your batter into a greased loaf pan and sprinkle the top with a little bit of cinnamon. Bake for 1 hour. 8. 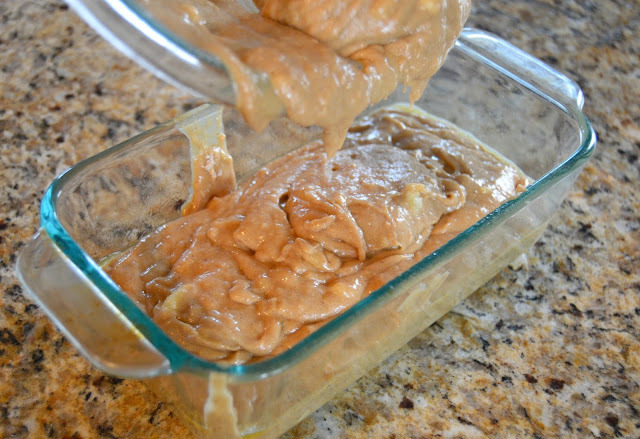 Let your Vanilla Banana Bread cool for about 10 minutes in the pan and then transfer to a wire rack to cool completely before cutting. 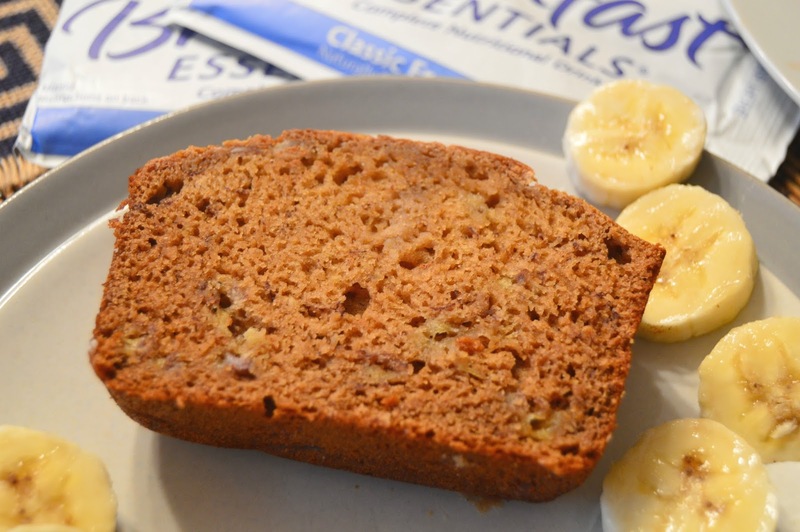 It was all I could do to keep everyone - including the dog, away from our breakfast Vanilla Banana Bread. I guess that's a good thing though, right? 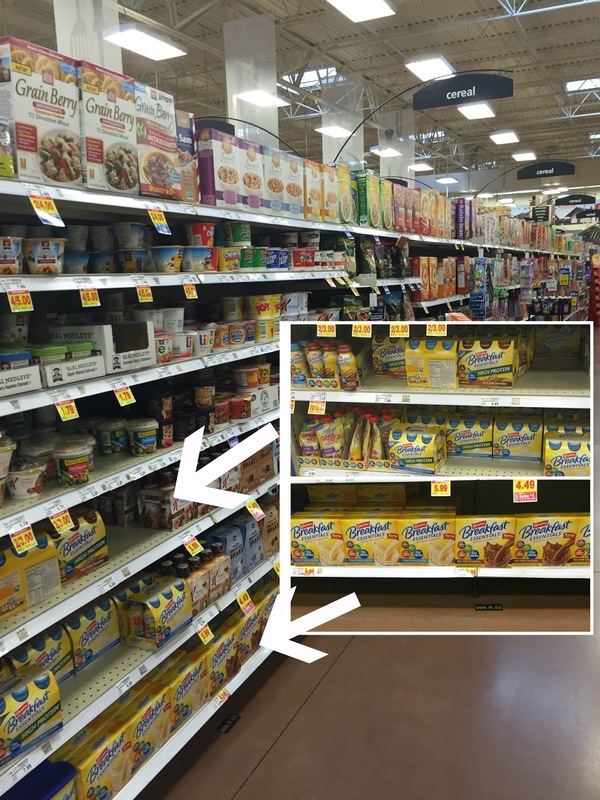 The next morning I followed my new morning routine exactly as I had mentally planned it out. I got up and worked out, showered and had Cohen's breakfast set up and ready for him when he woke up for school. 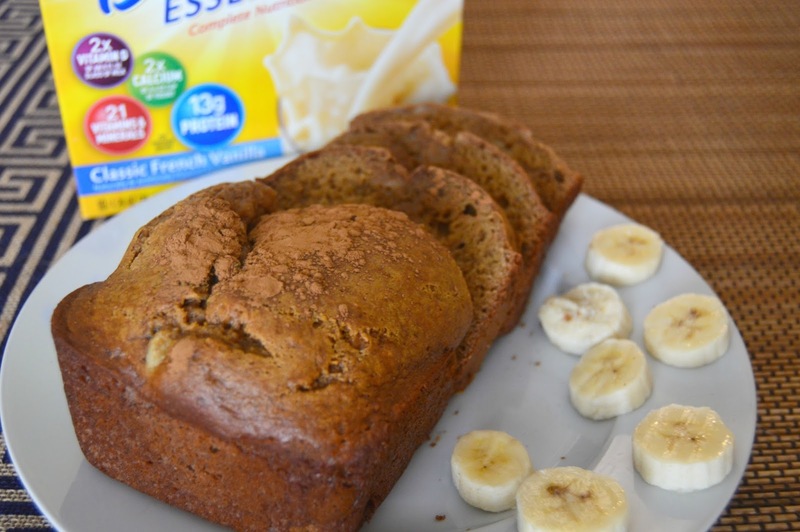 The two of us talked and enjoyed our Vanilla Banana Bread. It was nice to take time and enjoy breakfast without feeling rushed out the door. I even had time to listen to his twenty questions about sharks, ghosts and of course, Big Foot. Then the girls woke up, we got them dressed and together the four of us headed to drop Cohen off at school for the day. 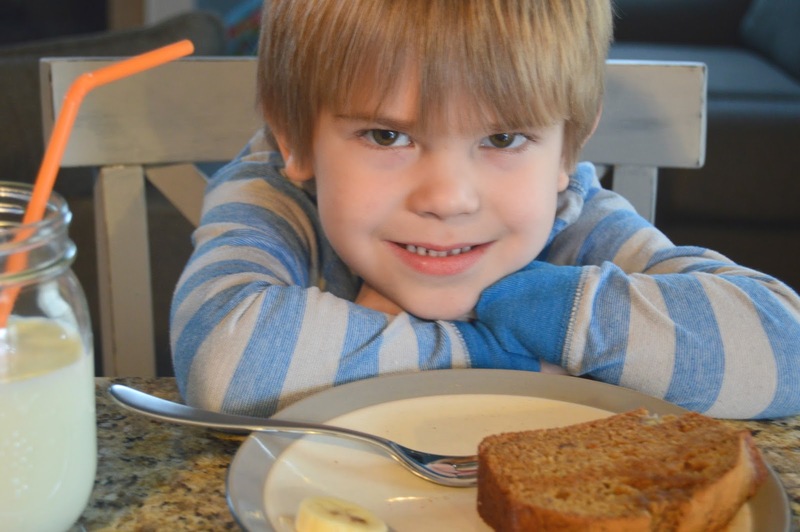 It's amazing how something as little as a well planned breakfast can turn one's attitude around. My week started off on a happy foot and honestly I feel like Cohen had a much better week at school too. So, now it's your turn! 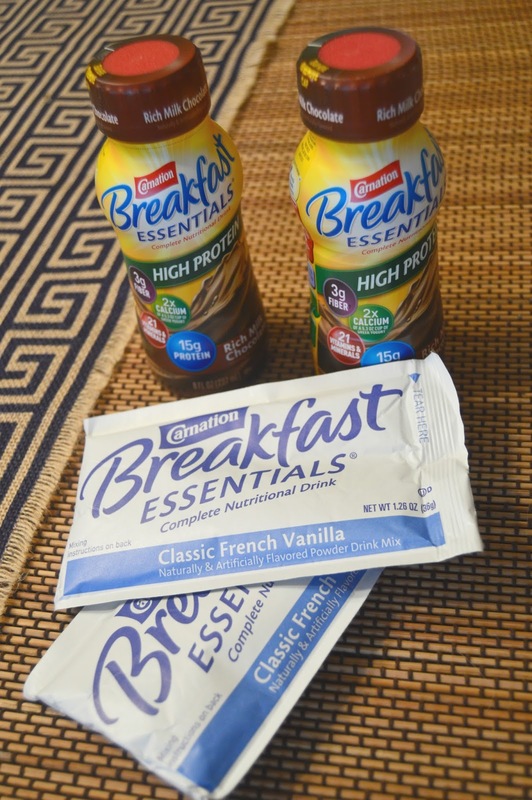 Carnation Breakfast Essentials® wants to help you get into a better breakfast routine too. Our family is taking the next 7 days to enjoy a nutritious breakfast together during the 7-Day Breakfast Challenge. Together we will complete simple breakfast missions all through February to try and win prizes. It will be a fun addition to our new breakfast routine! What do your morning routines look like? 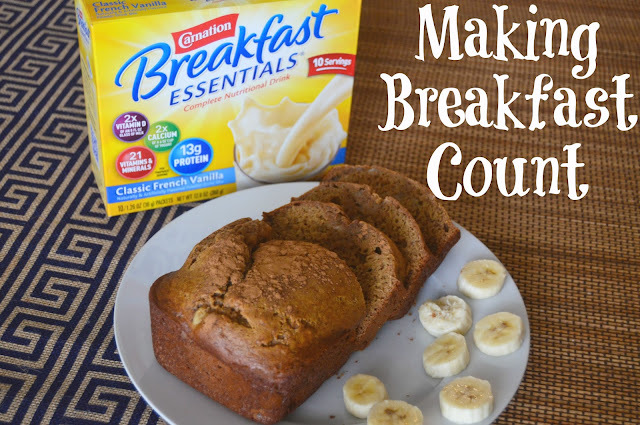 How would you slow down and make breakfast count with your family?